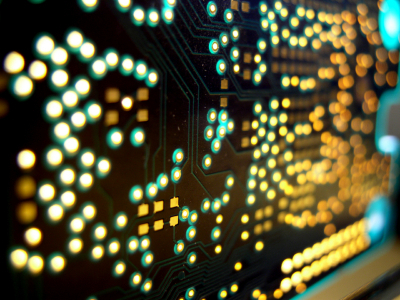 Electronics manufacturers face a difficult set of market forces, such as rapidly changing customer preferences, shrinking operating margins, managing a complex global supply chain, and uncertain demand. To overcome these issues, it’s common for executives to develop an operational excellence program that aligns key resources with operational, financial, and quality objectives. A critical component of realizing operational excellence is setting up a metrics program that can increase visibility into progress toward these objectives as well as shed light on areas for improvement. Before choosing a set of metrics to focus on, however, it will be helpful to understand the most important objectives to executives today. Below, I’ll provide insight into this with the use of data from our 2012-2013 quality management survey. The above data is not surprising given the competitive nature of the electronics industry. With many options available to buyers, the need for producing high quality products and processes places considerable pressure on electronics manufacturers. Additionally, shrinking operating margins, the need for seamless new product introductions, and more leave little room for costly errors. 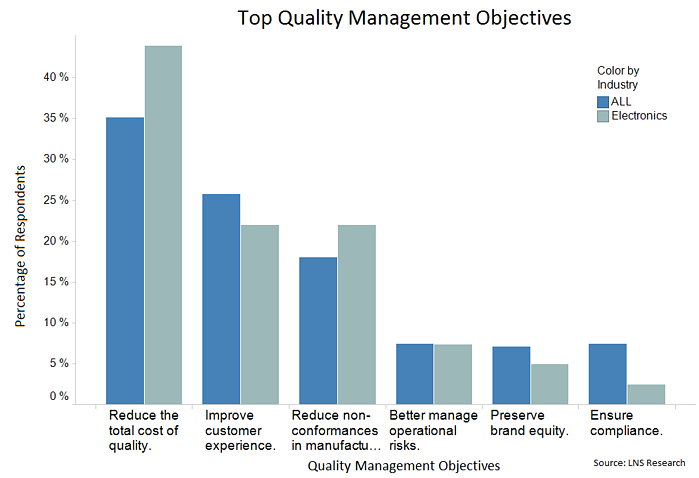 The cost of quality metric is one of the more complex metrics an organization can measure. When broken down, the equation encompasses the cost of good quality and the cost of poor quality. It can be broken down even further into sub-variables of those variables. Despite its complexities, though, market leaders are taking advantage of this metric and making it a focal point of operational excellence programs because of its holistic impact on operational, financial, and quality objectives. As discussed above, to achieve top objectives, operational excellence programs need alignment and harmony between key resources. Specifically, there are many steps companies can take to effectively leverage people, processes, and technology to optimize the cost of quality metric and make measurable improvements toward these objectives. People: By attaining executive backing for quality management initiatives, developing internal educational programs and SOPs, and more, organizations can spread a culture of quality that promotes measurements and improvement in the cost of quality metric. Processes: A certain set of business process capabilities can greatly facilitate measuring the cost of quality metric. These include the establishment of a formal enterprise-wide CAPA process, closed-loop process across the value chain, real-time statistical analysis of internal and external activities, and more. Technology: Emerging technologies such as Enterprise Quality Management Software (EQMS) and Cloud ERP are helping organizations streamline cost of quality data from various business processes across the value chain to a centralized and standardized information management system. For a more in depth discussion on reducing the cost of quality in electronics manufacturing, join our President and Principal Analyst, Matthew Littlefield, for a webinar tomorrow at 1p.m. EST. Topics covered will be measuring the cost of quality, quality culture, the cost of quality’s impact on manufacturing and supply-chain performance, how the cloud and IT can improve the cost of quality, and more. You can register by clicking the button below.